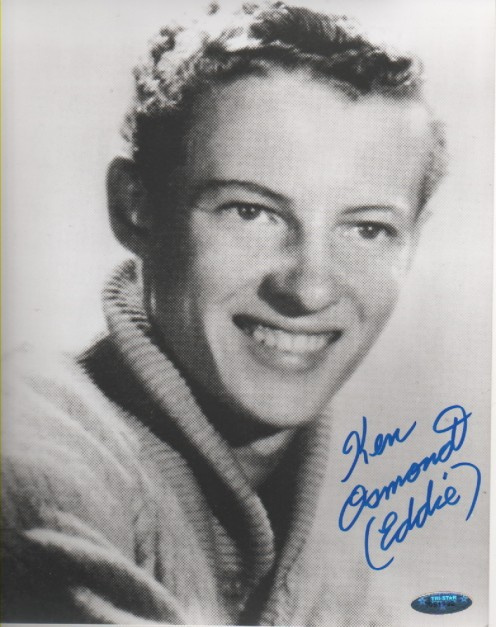 Ken Osmond - Eddie - The life and times of America's preeminent bad boy. Eddie Haskell was the bad kid who never went away. When child actor Ken Osmond stepped onto the set of Leave it to Beaver in 1957, he not only entered our living rooms, he homesteaded a permanent place in the American pop culture. The poster child for sneaky, rotten kids everywhere, he was the reference point for cautious mothers to warn their children about. And everyone in America knew an Eddie Haskell at some point in his or her lives. The amazing phenomenon of Ken Osmond’s character is still going strong, over half a century after the show’s cancellation. Even today, the name Eddie Haskell remains firmly entrenched in the American lexicon. 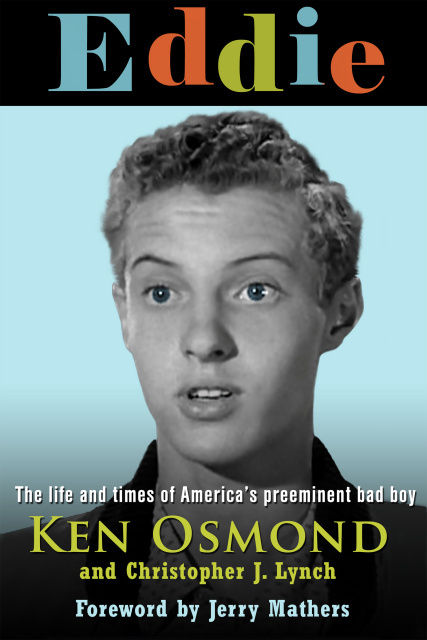 Now it’s time to meet Ken Osmond, the man behind America’s preeminent bad boy. A man who, as co-star Jerry Mathers said, “Was the best actor on the program, because he was so diametrically opposed to the character he played.” A devoted husband, father and patriot, he’s a man who’s been forever shadowed by Eddie Haskell, but whose own life, was even more amazing than the character he portrayed. Today, Hartford Books Examiner welcomes Ken Osmond. Mr. Osmond co-authored the memoir “Eddie: The Life and Times of America's Preeminent Bad Boy " with Christopher J. Lynch. 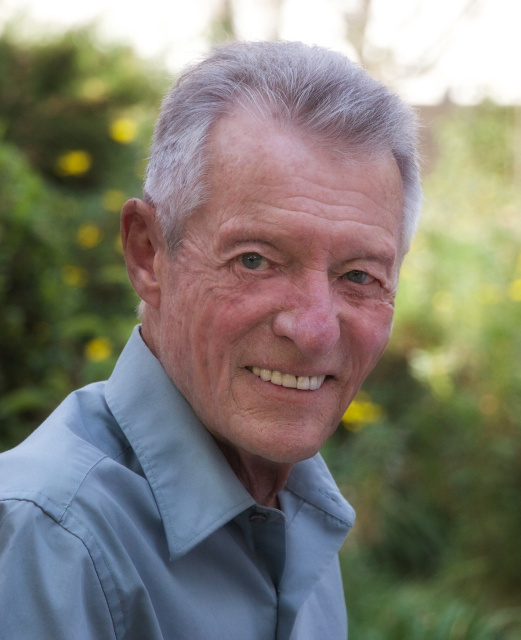 He is a former child dancer and actor who is best known for his portrayal of Eddie Haskell from the classic TV comedy, Leave it to Beaver. After the show ended in 1963, Mr. Osmond found himself to be hopelessly typecast and turned to law enforcement to find employment. His career, and his life were nearly cut short when he was shot 3 times at point blank range while on duty one night. Mr. Osmond is retired today and manages his collection of rental properties. Eddie Haskell was the bad kid who never went away. When child actor Ken Osmond stepped onto the set of Leave it to Beaver in 1957, he not only entered our living rooms, he homesteaded a permanent place in the American pop culture. The poster child for sneaky, rotten kids everywhere, he was the reference point for cautious mothers to warn their children about. And everyone in America knew an Eddie Haskell at some point in his or her lives. The amazing phenomenon of Ken Osmond’s character is still going strong, over half a century after the show’s cancellation. Even today, the name Eddie Haskell remains firmly entrenched in the American lexicon. Political foes from both sides of the ideological spectrum love to accuse their opponents of, “acting like Eddie Haskell,” and when Kobi Bryant argues a referee’s call, tweets go out labeling him as an “Eddie Haskell.” Psychology Today Magazine has published articles about recognizing and treating “Eddie Haskell Syndrome” and Matt Groening created Bart Simpson as his own version of “the son of Eddie Haskell.” Now it’s time to meet Ken Osmond, the man behind America’s preeminent bad boy. A man who, as co-star Jerry Mathers said, “Was the best actor on the program, because he was so diametrically opposed to the character he played.” A devoted husband, father and patriot, he’s a man who’s been forever shadowed by Eddie Haskell, but whose own life, was even more amazing than the character he portrayed. John Valeri: What inspired you to write a memoir at this moment in time – and how did the process of doing so alter your perception(s) of your life, if at all? Ken Osmond: It was really Christopher J. Lynch’s idea. I had never really thought about it before, and honestly, no one had ever approached me about doing a biography. Chris was inspired to approach me when he saw that Frank Bank (Lumpy) had passed away and realized that I didn’t have a bio out there like Jerry (Mathers) and Frank had. JV: Writing non-fiction can pose unique challenges. How did you endeavor to balance candor with discretion – and what role, if any, did anticipated reader response play in what information you chose to divulge (or not)? KO: I realized that there are just certain things in life that are private. I have things in my past – like everyone – that I’m not proud of, and I really didn’t feel that they had a place in the book. Chris and I agreed early on that we were not going to write a “tell-all” expose and he was very respectful when I told him something in confidence that I said wasn’t going to go into the book – whether it would sell books or not. Besides that, believe it or not, there were no scandals on the set. Connelly and Mosher, the two producers, really kept it like a family. In fact, one time a grip made a mistake on the set and said, “Dam it!” Mosher saw that he cursed right in front of us kids, and he fired him on the spot. It was a different time in America back then. JV: The book’s title – “Eddie” – references your celluloid alter-ego, Eddie Haskell. What are both the privileges and pitfalls of playing such an iconic character – and how does the benefit of hindsight influence your opinion on that matter? KO: First of all, the Eddie character was fun to play. But the real benefit of playing Eddie wasn’t realized until many years after the show was cancelled. Because of the notoriety of the character, and the fact that everyone in America knew an Eddie Haskell, I had lots of doors opened for me and was able to do some fantastic things. I’ve been Quail hunting with “Stormin-Norman” Schwarzkopf, I’ve stood on the stage of the Grand Ole Opry, and I was given a private tour of the White House. I didn’t realize it way back then when I was a struggling actor and couldn’t get any work because of being typecast as “Eddie” but now I realize that overall, the character has been very good to me in my life. JV: You are not your character, and yet so many people assume otherwise. What do you see as being the greatest difference(s) in your personality as compared to Eddie’s – and if you could acquire one trait of his, which would it be and why? KO: As far as our differences, I see Eddie as a real braggart, and I’m not one. The other big difference between us is that Eddie was a slacker - before there even was such a word by the way. I credit my parents for instilling in me a good work ethic and the sensibility that God serves those best who serve themselves. I don’t really covet any of Eddie’s personality traits, but he and I do share one thing: sensitivity. I consider myself a sensitive person, and deep down Eddie was as well. You didn’t get to see it very much in the episodes, but underneath it all he was. By the way, the episodes where Eddie revealed his vulnerable side were always my favorite to play. JV: Tell us about your collaboration with Christopher J. Lynch. How did his storytelling prowess enhance the manuscript – and what did you find to be the key(s) to a pleasant and productive working relationship? KO: Chris and I had a very comfortable and trusting relationship. As I stated earlier, if I told him something wasn’t going in the book, I knew I could trust him to not include it. Some writers do not operate that way. Because of this, Chris and I and our families have become very close. As far as Chris’ writing, it’s what actually sold me on the idea of having him write my life story. Along with the pitch letter he sent to me about doing my biography, he also included a copy of one of his crime novels. The book is called “One Eyed Jack,” and it’s about a professional blackmailer who gets in over his head. Let me tell you, I normally don’t read fiction, but I couldn’t put the book down! It’s so good in fact; it’s in pre-production to be adapted into a feature length film. JV: The entertainment industry has been something of a family affair for you and yours. What do you believe to be the common misconceptions about the business – and to what do you credit your family’s ability to avoid the dark side of fame? KO: As far as misconceptions, first of all, none of us got rich by doing the Leave it to Beaver series. These were the days when we got residuals for only six reruns – then we were done. By 1966, none of us were getting a dime more for doing the series. It’s also not glamorous. Sure, you have moments where you do appearances and people recognize you and you get fan letters, but that’s after you’ve put in long days rehearsing, filming and for us kids – going to school on the set. What kept me from falling into the “dark side” of the industry as you say, came down to what it always does for people: I had great parents, and they trained me well and instilled great values in me. They also taught me common sense about money and that I couldn’t count on the good fortune of doing a show forever. Therefore, I never spent money I didn’t have and didn’t end up destitute like other child actors. And I’m proud to tell you that these values have not been lost on people who have read “Eddie.” I get so many fan letters from people who have read the book and they are so grateful to read about someone who was part of the “Hollywood Scene” who wasn’t sleeping with everyone in town, and who hasn’t been married sixteen times, and who didn’t get addicted to drugs or get in trouble with the law. To them it’s refreshing. And you know what; it’s refreshing to me as well, and I’m glad that I could share it with them. With thanks to Ken Osmond for his generosity of time and thought and to Christopher J. Lynch for facilitating this interview.